Looking for a Drug Rehab or Alcohol Treatment Facility in Wisconsin? Drug rehab in Wisconsin offers hope to addicted residents; these programs provide the help and rehabilitation services necessary to overcome drug and alcohol addiction. The most current report from the Substance Abuse Mental Health Services Administration (SAMHSA) regarding drug rehab programs in Wisconsin notes 29,532 individuals aged 12 or older enrolled in addiction treatment services in the state during 2010. The ratio of male to female enrollments for drug rehab in Wisconsin was 70.8% male and 29.2% female. With the most common age group receiving treatment between 45 and 49 years old. Alcohol addiction made up the greatest number of Wisconsin drug rehab enrollments during 2010. Statistics from the 2010 study indicates 15,006 individuals entered drug rehab in Wisconsin for alcoholism. Does the intensity of the program match the severity of the addiction? What is the rehab program's treatment focus? Does their approach to recovery match the addict's personal philosophy on rehabilitation? Are they able to address multiple conditions, such as dual diagnosis? The 2014 Wisconsin Epidemiological Profile on Alcohol and Other Drug Use reports heroin and other opioid-related deaths have escalated throughout the state. Statistics show that between 2004 and 2012, opioid-related drug deaths increased approximately 38%. Likewise, during the same time period the number of heroin-related drug deaths in Wisconsin increased from 5% to 27%. The report speculates that the upward trend in heroin-related deaths are a result of addicts substituting heroin for prescription drugs among opioid users. The cheaper cost, and the fact that heroin has become readily makes this drug a desirable substitute for opioid prescription drug addicts. Alcohol treatment in Wisconsin is the top rehabilitation service sought by residents. The most recent statistics from TEDS reports 15,006 individuals sought help for alcohol addiction during 2010 in Wisconsin. 71.5% of these individuals were male and 28.5% were female. The largest age group to receive alcohol treatment in Wisconsin during 2010 was between the ages of 45-49 years old. The Behavioral Health Barometer report from 2013 indicates that between 2008 and 2012, 8.8% (around 360,000 individuals) in Wisconsin aged 21 or older reported heavy alcohol use within the month prior to being surveyed. Tragically, only 1 in 3 (an average of 30%) of these individuals received alcohol treatment in Wisconsin within the year prior to being surveyed. Data from the National Survey of Substance Abuse Treatment Services (N-SSATS) on March 29, 2013 reports 28,421 clients cited alcohol as their primary substance of abuse in alcohol treatment in Wisconsin. Inpatient vs outpatient treatment in Wisconsin provides two very different types of addiction rehabilitation settings. While they both deliver similar rehabilitation services, inpatient treatment means the client lives in the rehab facility and outpatient means they continue to live at home during treatment. Choosing an inpatient treatment program in Wisconsin allows the addict distance from their day to day life to focus on their recovery. On the other hand, outpatient treatment in Wisconsin offers more flexibility in the person's daily schedule to maintain work, school or personal commitments. Data from The National Survey of Substance Abuse Treatment Services (N-SSATS) conducted by SAMHSA shows that on March 29, 2013, there were 318 substance abuse treatment facilities located in Wisconsin. Of these 318 substance abuse treatment facilities: 274 were outpatient, 56 were residential/inpatient, and 28 were hospital inpatient. On March 29, 2013 the N-SSATS survey notes 26,314 individuals enrolled in outpatient treatment in Wisconsin, there were 2,068 clients enrolled in residential rehab, and 275 patients receiving hospital inpatient services. Statistics on inpatient vs. outpatient success rates continue to point toward inpatient treatment as the most successful form of addiction rehabilitation. The most recent study conducted by the Treatment Episode Data Set (TEDS) in 2010 reports close to 50% of inpatient treatment clients remain in rehab from start to finish. Additionally, around 24% of those who did not complete inpatient treatment left because they were transferred to a different rehabilitation program. Figures for outpatient treatment from this 2010 study show that only 38% of outpatient clients completed their rehab programs. Ill-advisedly, nearly 30% of the persons enrolled in outpatient rehab choose to drop out before their treatment was complete. Statistics from 2010 TEDS follow-up survey discloses 70% of short-term residential treatment discharges attended a self-help program in the 30 days prior to the survey. Whereas only 27% of outpatient treatment discharges reported they had attended a self-help program in the 30 days before the survey. What Does Inpatient Rehab in Wisconsin Involve? When a person enrolls in an inpatient treatment program they are going to live in the facility during their rehabilitation process. 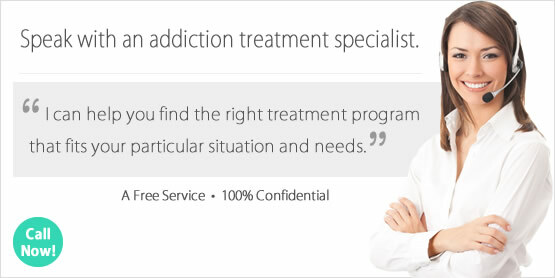 Many programs provide detox services for their clients as well as around the clock care. These rehab centers provide a more intensive level of treatment than outpatient rehabs. The recovering person benefits from the program's structured daily routine and sense of community. There are a number of rehabilitation-related activities that take place while enrolled at an inpatient treatment center such as group meetings and individual counseling sessions. Clients who require daily medications or other specialized medical care benefit greatly from having these services provided on-site. The 2013 data report from N-SSATS on March 29, 2013 indicates there were 56 residential inpatient programs and 28 Hospital inpatient programs operating in Wisconsin on that day. What Does Outpatient Rehab in Wisconsin Involve? Outpatient treatment involves being able to maintain sobriety when not physically present at the rehab center. This form of treatment if often a first step for many; however, it is not an ideal choice for several types of addiction cases. Severe addiction cases require more structure and intensive rehabilitation services, such as those offered at inpatient treatment. Outpatient treatment in Wisconsin allows the recovering person to maintain most aspects of their day to day life while receiving addiction rehabilitation services. Information from the March 29, 2013 N-SSATS report shows there were 274 outpatient treatment programs in Wisconsin. Many of these facilities provide more than one type of care, making their rehab centers versatile for a variety of treatment types. Of the 274 outpatient treatment centers in Wisconsin, 261 provided regular outpatient care, 107 delivered intensive outpatient care, 32 offered day treatment/partial hospitalization, 29 provided detoxification, and 38 delivered methadone/buprenorphine or Vivitrol maintenance.